These are the left-hand version of the Zebra ZE-500 print engine. Please check the specification carefully before ordering. Why don't we show the price? Some of our manufacturers do not allow us to advertise our low prices. Just add an item to the shopping cart to see our lowest available price. 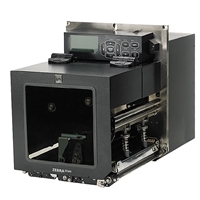 Get up to $500 for your old print engine when you buy a new Zebra ZE-500!